Not one hand-carved, wooden animal on the Carousel of Happiness in Nederland, Colorado is the same species. 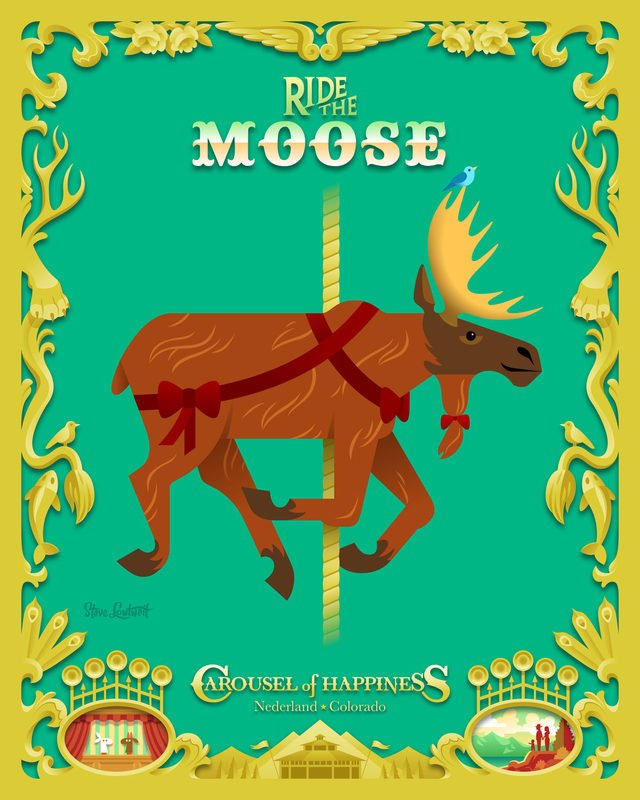 There are 36 different animals to ride and 25 more that decorate the environment. 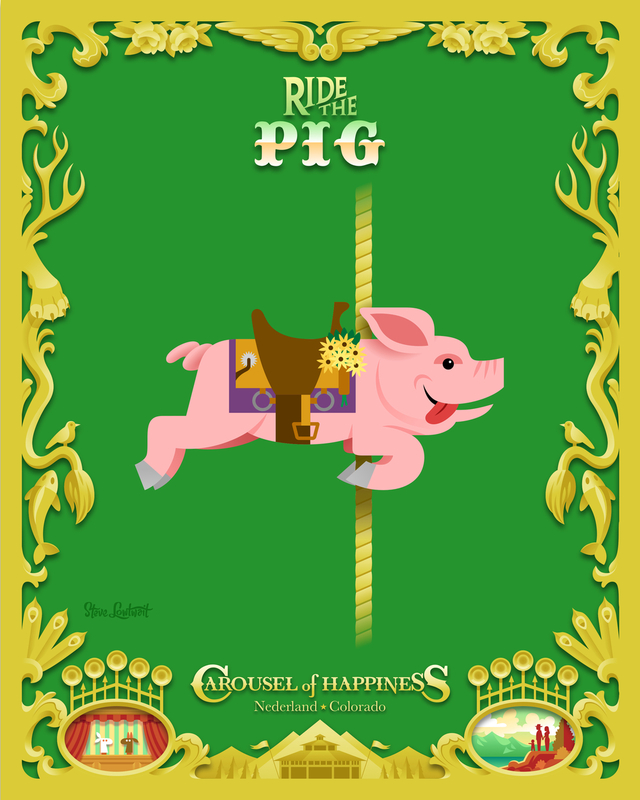 I was commissioned to create a poster series celebrating six of the most popular animals. I set out to create a look that was both contemporary and vintage. The bold, stylized animals are visually modern, as is the color palette across the series. In contrast, the decorative border and classical typography recalls the carousel's Victorian heritage. The border is composed of imagery from animals and ornamentation on the carousel itself, to the horns of the vintage Wurlitzer that provides its music. The bottom center features the building that houses the indoor carousel. The corner ovals feature other facets of the carousel's story - the puppet theater inside the building, and a view of the mountain landscape surrounding the area. 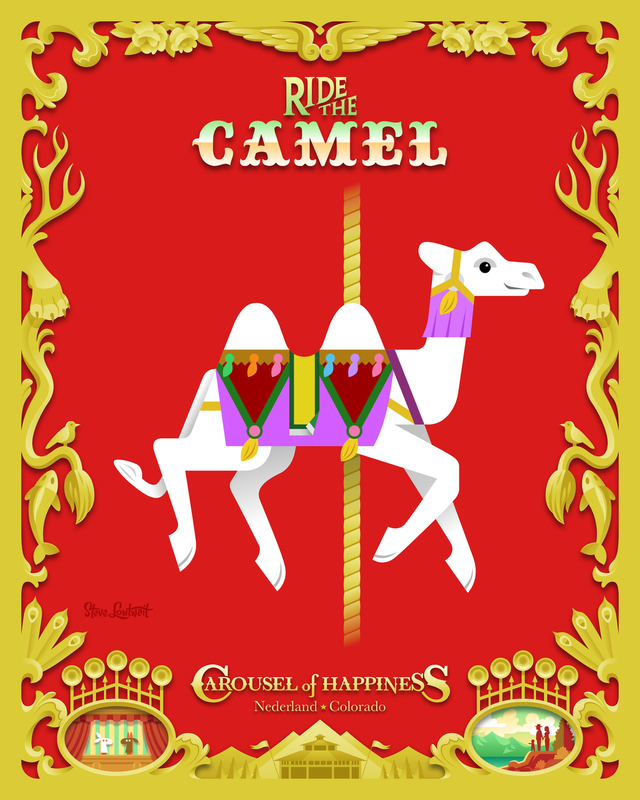 The series will be sold as posters and postcards in the carousel's gift shop. 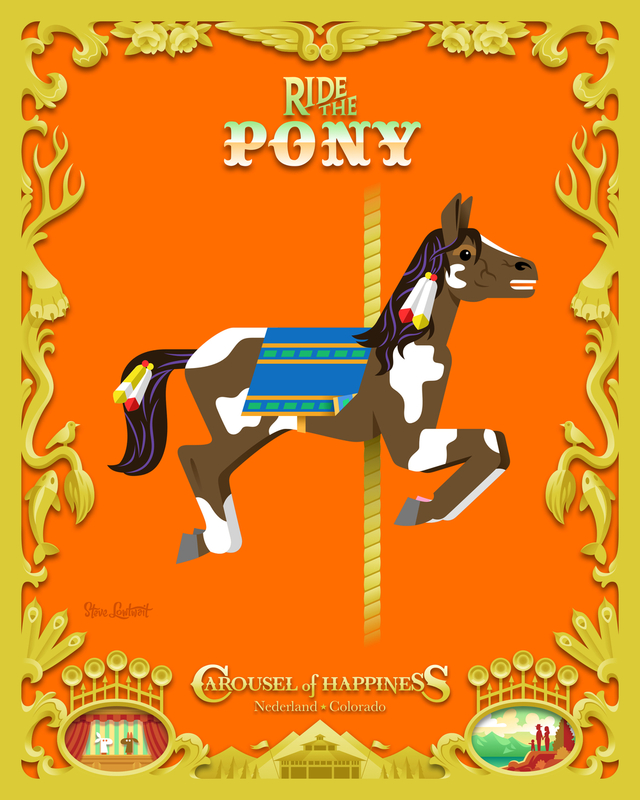 If you're in Colorado, plan a visit to the Carousel of Happiness. 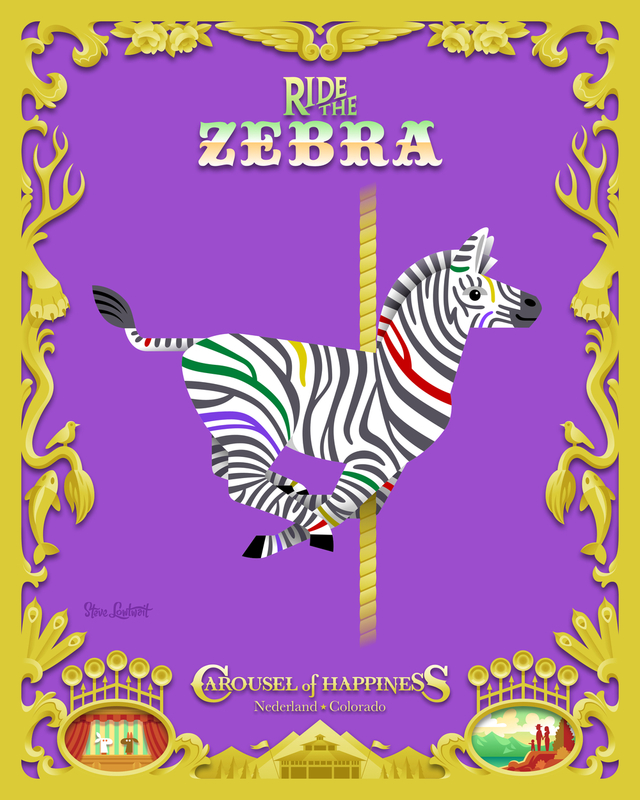 The carousel posters are also available online in my shop.